The Model A Ford fitted 440x21 tyres from 1928-1929. The 440/450x21 Lucas Tyre in this size is extremely good value. Dougal drives on these tyres and was pleasantly surprised by how good they are! 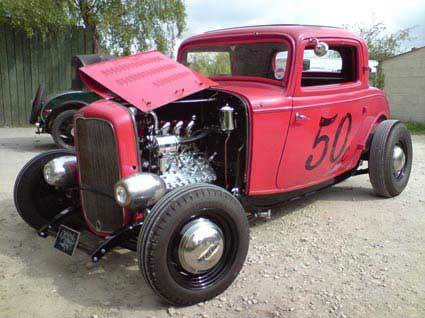 The later Model A Ford from 1929-1931 fitted a 475x19 tyre. 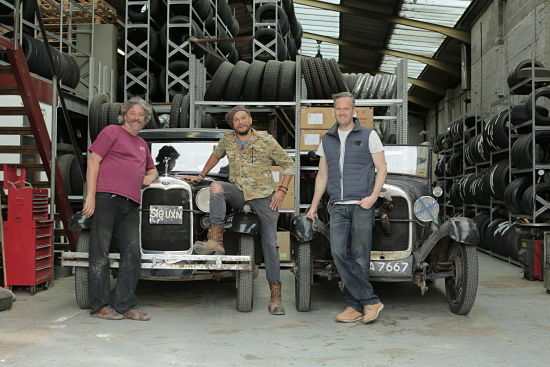 Dougal's wife Liz has a 1930 Model A Saloon and she finds the 475/500x19 Michelin DR a very grippy and comfortable tyre to drive on, it also has a very vintage tread pattern. The 475/500x19 Lucas is also very good value. Recommended tyre pressures for a Model A Ford are: 36 psi with 21” wheels and 34 psi with 19” wheels. If you are doing VSCC Trialing with your “A”. 450X21 Goodyear Diamond or 475/500X19 Michelin DR for standard cars. For specials 525/600X19 Michelin DR. 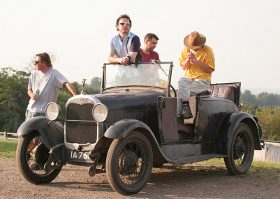 When Dougal buys parts for Model A's he tends to get them from http://www.oneillvintageford.co.uk. Dave O'Neil is very knowledgeable and the service you get, couldn't be better. 475/500 x 19 Michelin D.R. Replacement for the ubiquitous Ford Model T, the vintage Model A Ford went on sale in December. A much more complex car than its predecessor, the Ford Model A was also more powerful with its 3.3 litre four cylinder sidevalve engine producing a whole 40BHP, which was double the power of the Ford Model T. This gave the Model A Ford a top speed of 65mph (sometimes). A three speed sliding gear transmission replaced the Ford Model T's planetary gears, there was also in amongst all the excitement a coil and battery instead of magneto ignition and also which seems almost unbeleivable a brake for all four wire wheels. A weekend spent with the VSCC at one of their trails events, is among the best ways to spend a winter weekend with your cloths on. 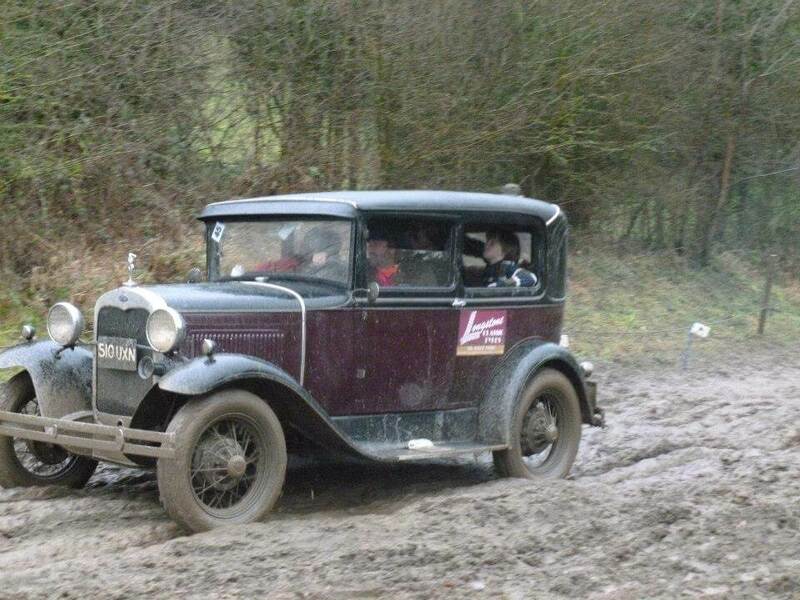 The VSCC eligibility rules say that if you want to run 1928 or 29 Model A as a standard car then you must stay with the 21” wheels so the 450X21 Goodyear Diamond, All weather tyre gives you the knobbliest side walls and most aggressive tread. Unfortunately having these thinner 21” tyres, does give a slight disadvantage compared to the 475/500X19 tyres of the later cars, Michelin tyre is by far the best trailing tyre for the majority of vintage cars that might trial with the VSCC. So a 475/500X19 Michelin DR is the best tyre to trial a later Model a with the VSCC as standard. A model A Ford is a nicer handling car, fitted with the 21” wheels, they are lighter and more fun to drive. The 19” wheels with the taller side wall, do give a softer ride and the taller tyre absorbs bore bumps of the road. So if your car qualifies as a VSCC special, when trialing you should take advantage of this. 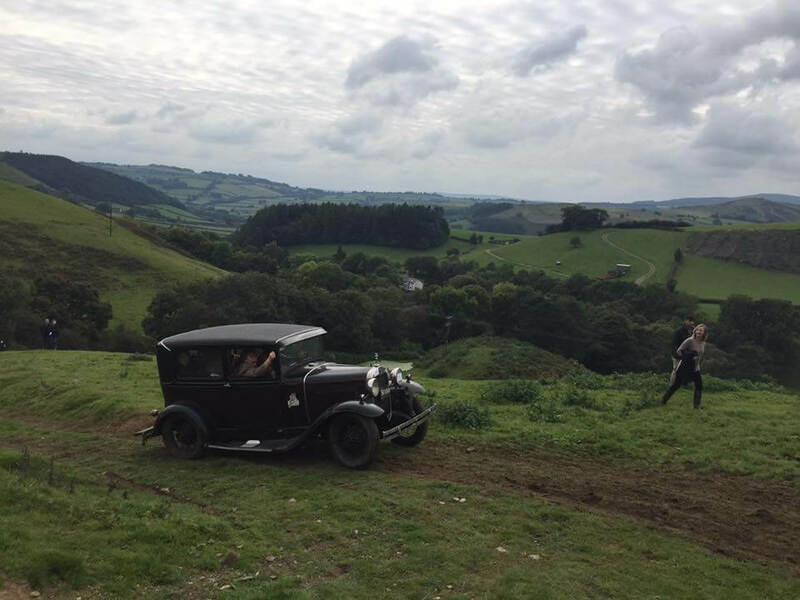 So regardless of the year of your Model A the VSCC eliagability allows you to fit 19” wheels on a special Model A and you can also fit a a boiogger tyre section and a 525/600X19 Michelin DR will get you further up the majority of hills a V. S. C. C. trial might offer you. If you can fit them on your car a Michelin DR will be the best trialing tyre for any VSCC car. The Model T Ford's ungainly styling was abandoned,and the eagerly awaited Model A Ford up to the minute looks,wider choice of colours and needless to say competitive pricing helped ensure its success. The first Model A Ford was assembled on 21st of october 1927 and the car's nationwide introduction followed on 2nd of December in the same year. Nine different body styles were offered for 1928, and as production gathered pace ,this increased to no fewer than 18 for 1929. Model A Ford production for the 1928 calendar year was a staggering 633,594 cars.